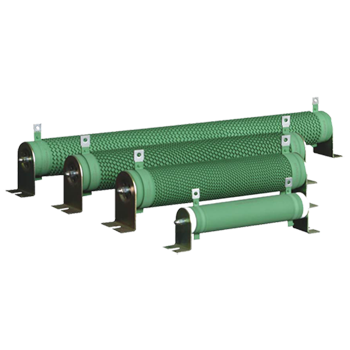 The wirewound resistor is made by fixing two leading-out terminals on the cylindrical ceramic tube which is coiled by bandlet and wave shape alloy resistance wire. The wirewound resistor is made by fixing two leading-out terminals on the cylindrical ceramic tube which is coiled by bandlet and wave shape alloy resistance wire. The surface of the ceramic tube is coated by a layer of coating which is resistant to flaming and high temperature. As the framework of the resistance wire, the ceramic tube can also work as the radiator. This product can be made to order. It is suitable for simulated load test, the discharging of equipment, automatic control and the dynamic braking of the transducer.